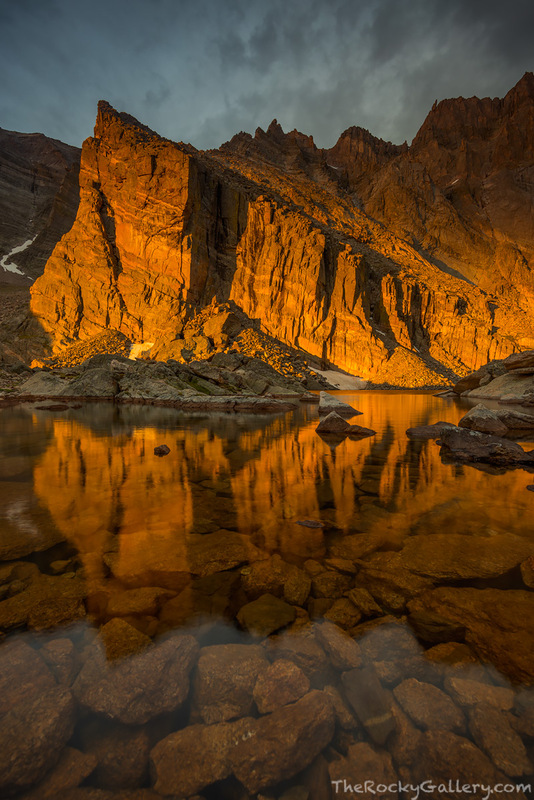 A rainy morning at Chasm Lake allows for a short window of drop under sunlight to illuminate the Ships Prow in beautiful golden light for a few moments. Just to the side of of Longs Peak, the Ships Prow is a popular rock formation with climbers who visit Rocky Mountain National Park. Photo © copyright by Thomas Mangan.